US cable TV firm Comcast has bid £22bn for Sky in a move that threatens media giant Rupert Murdoch’s attempts to take over the pay-TV group, according to BBC News. Murdoch’s 21st Century Fox is seeking to take full control of Sky, with a £19bn bid for the 61% of shares it does not own. Sky has withdrawn its recommendation to shareholders for that bid to proceed following the Comcast offer. Sky shares have risen 3.4% to £13.52 on the FTSE 100 following news of the bid. Comcast is a vast US cable TV company that owns NBC and Universal Pictures. Its bid is around 16% higher than Fox’s offer of £10.75 a share. Analyst George Salmon of Hargreaves Lansdown said that the Comcast bid raised the possibility of a bidding war. Comcast is working with Sky’s directors to see if its deal will be recommended to shareholders. It has said it plans to agree several legally binding commitments in the deal, including maintaining the company headquarters in Osterley, London for at least five years. Biotech giant Shire has said it would be willing to recommend an amended $64bn takeover bid from Takeda Pharmaceutical Co to shareholders, according to Reuters. The rare disease specialist made the statement amid concerns about Takeda’s recent share value losses, with a 7% drop as investors expressed concern over the company’s ability to acquire a company twice its size. If the bid is to go ahead, Shire shareholders will need to accept a bid that is 56% newTakeda shares. Since news of a possible bid from Takeda broke, shares in the company have fallen 18%, making the deal less attractive to Shire shareholders. Shire’s shares rose 1.5% to £39.90 in early London trading, a figure well below Takeda’s £49 offer. Takeda’s fall in share price erodes their $64bn headline offer. The fifth offer from Takeda is worth £49.01 a share, made up of £27.26 per share in new Takeda shares and £21.75 in cash. This is 4.3% higher than Takeda’s fourth offer on 20 April and 11.4% up on the first approach, made on 29 March. AXA is to acquire 1005 of XL Group Ltd, according to Actuarial Post. The purchase price is said to be $15.3bn, to be paid in cash. Under the terms of the agreement, which has been approved by the boards of both AXA and XL Group, the shareholders of XL Group will be given $57.60 per share, representing a 33% premium on the XL Group closing share price of 2 March 2018. The chief executive of AXA, Thomas Buberi, said: “This transaction is a unique strategic opportunity for AXA to shift its business profile from predominantly L&S business, and will enable the Group to become the #1 global P&C Commercial lines insurer based on gross written premiums. “The transaction offers significant long-term value creation for our stakeholders with increased risk diversification, higher cash remittance potential and reinforced growth prospects. The future AXA will see its profile significantly rebalanced towards insurance risks and away from financial risks. “XL Group has the right geographical footprint, world-class teams with recognized expertise and is renowned for innovative client solutions. Our combined P&C Commercial lines operations, will have a strong position in the large and upper mid- market space, including in specialty lines and reinsurance, and will complement and further enhance AXA’s already strong presence in the SME segment. The purchase of the Bermuda-based specialist XL Group indicates the pressure on niche insurers. Low interest rates, tax reforms in the US and falling prices are creating a challenging environment for specialist insurers. Walt Disney has announced the purchase of parts of 21st Century Fox in a landmark $52.4bn (£39bn) deal. The purchase will include Fox’s 39% stake in Sky and the 20th Century Fox film studio, according to BBC News. The 21st Century Fox assets which will not be included in the deal, such as Fox News and Sports, will be held by a new company. The deal marks a shift from owner Rupert Murdoch’s policy of media expansion. Since he started out aged 21 with a single Australian newspaper, Murdoch has purchased assets to build a global media empire. Now aged 86, Murdoch is selling assets which commentators had believed would be passed to his sons, James and Lachlan. James Murdoch is tipped to be given a role by Disney in managing parts of the new business acquisition. The deal will need approval from regulators in the US. The US Department of Justice recently blocked a planned $85.4tn deal for AT&T to buy Time Warner on the grounds that it would raise prices for consumers and competitors. Fox is already under investigation by the UK Competition and Markets Authority over its bid to purchase remaining shares in Sky. Shareholder approval has been secured for the takeover of Nisa convenience stores by the Co-Operative Group in a £137m deal, according to BBC News. An emergency meeting of shareholders secured 75.79% backing for the takeover, a very narrow margin in favour of the proposal as approval of 75% was needed to go ahead. 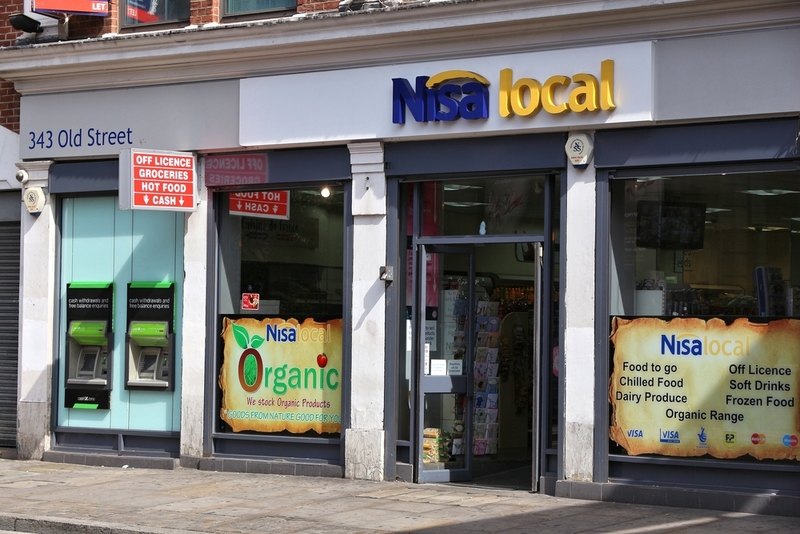 Nisa operates 3,000 stores on a wholesale model and is owned by members. The Nisa board had said that the deal was in the “best interests” of members. The final agreement is still subject to approval by the Competition and Markets Authority. The terms of the deal allow Nisa members to opt to buy goods from an alternative supplier if they do not wish to stock Co-op lines. Shareholders will each receive £20,000 plus deferred payments depending on the size of their shareholding. The retail industry is seeing consolidation in the face of sharp competition from relative newcomers such as Aldi and Lidl, online giants such as Amazon moving into the space, and shifts in consumer habits. Nisa has reported revenues of £1.25bn in the year to 2 April 2017, and pre-tax profits of £2.8m. UK betting and gaming company Betfair and Irish bookmaker Paddy Power have announced plans for possible a GBP5bn merger deal that would create one of the world’s largest gambling firms. It was reported on Wednesday that although the final details of the deal are still to be decided, the companies expect Paddy Power to own 52% of the combined business, while Betfair will own the remaining 48%. It is also anticipated that the combined business would have annual revenues of around GBP1.1bn. Paddy Power was founded in 1988 with the merger of three Irish bookmakers. It has 350 betting shops and is the third-largest online bookmaker, while Betfair’s betting exchange operates online only. Betfair was founded in 2000 by Edward Wray and Andrew Black who reportedly hold significant shareholding of GBP279m and GBP84m respectively. Following a merger between the two companies, Betfair’s CEO Breon Corcoran would become chief executive of the combined group, while Paddy Power’s chief executive Andy McCue, would become chief operating officer. Paddy Power’s chairman, Gary McGann, is expected to chair the board of the new company. Paddy Power’s chief financial officer, Cormac McCarthy, stated that the combination was “just a possibility” right now. “We think this is a very attractive opportunity, the scale and capability is unsurpassed and would leave us in a much better place to compete in our current markets, where competition is intense,” he added. Financial results were also released by both companies on Wednesday, which revealed that Betfair’s first-quarter revenues increased 15%, while Paddy Power’s operating profit grew 33% to GBP58m, for the first six months of the year, according to the Guardian newspaper. In addition it reported that shares in the companies went higher in early trading following the merger announcement, with Betfair shares up 18% Paddy Power shares up 14%. US information technology major International Business Machines Corp (NYSE:IBM), or IBM, said it had inked a final accord to acquire domestic cloud computing infrastructure provider SoftLayer Technologies Inc for an undisclosed sum. The deal, which hinges on the receipt of the requisite regulatory approvals, is seen to be finalised in the third quarter of this year. Upon closing, SoftLayer will merge with IBM SmartCloud into a global platform as part of a new cloud services division at the buyer, bringing a complementary suite of services to the existing portfolio, IBM said. The acquisition of SoftLayer, which caters to some 21,000 clients through 13 data centres located in the US, Asia and Europe, is seen to cement IBM’s presence in cloud computing, the company noted. The target is seen to speed up IBM’s ability to integrate public and private clouds for its clients, the buyer added. UK regional airline company Flybe Group Plc (LON:FLYB) said it is disappointed by the news that the European Commission (EC) will most certainly block Irish low-cost carrier Ryanair Holdings Plc’s (LON:RYA) planned buyout of Aer Lingus Group Plc (LON:AERL). EC’s expected decision would not only prevent Ryanair from securing the 70% it does not already own in its smaller rival, but also hinder Flybe’s deal to acquire 43 Aer Lingus UK and European routes plus some aircraft for EUR1m (USD1.3m). This latest agreement is part of Ryanair’s “unprecedented” remedies package in connection with the Aer Lingus bid. The company had also agreed to sell all of its and Aer Lingus’ London-Gatwick operations to International Airlines Group (LON:IAG). Yesterday, Ryanair announced it was notified by the EC of its intention to ban the buyout despite the offered concessions. The company also noted it would appeal any prohibition decision to the European Courts. In its own statement, Flybe said it would wait to see the outcome of that process. Ryanair is offering a price of EUR1.30 (USD1.75) per share to buy the remaining shares in Aer Lingus, thus valuing the company at EUR694m. Luxembourg-based steel and mining group ArcelorMittal (AMS:MT) is one of the two top bidders for German steelmaker ThyssenKrupp AG’s (ETR:TKA) steel business in the Americas, offering USD1.5bn (EUR1.1bn) for the company’s Alabama plant, according to a report by the Wall Street Journal. Companhia Siderurgica Nacional (NYSE:SID), or CSN, is the other leading competitor with an offer of USD3.8bn for the Alabama plant and a stake in ThyssenKrupp’s mill in Brazil, but sources cited by the paper said CSN has less balance sheet flexibility and lacks supply of high-quality slabs and that limits the chances of its bid. ThyssenKrupp expects binding offers by mid-February, with a decision regarding a buyer to be made this fiscal year to end September 2013. The Americas operations were offered for sale in 2012, with their parent targeting a price equal to their book value of USD8.86bn, it has said. ArcelorMittal confirmed last week it had made an offer for the Alabama plant, which its CFO Aditya Mittal described as a world-class quality asset, the Wall Street Journal said. The Luxembourg steel group also said last week it had raised USD4bn from issuing stock and bonds. This plant has some 1,500 employees, while the one in Brazil employs 3,500. The German group announced last year plans to sell these operations or seeking partnerships with the view of putting an end to losses at the mills and focusing on its business in Europe. It had also received offers from other suitors, but these are not seen as strong rivals to ArcelorMittal and CSN due to their weaker financial position, the Wall Street Journal said. Swiss watches and jewellery maker The Swatch Group Ltd has inked an agreement to acquire the luxury brand diamond jewellery and timepiece division of Canada’s Harry Winston Diamond Corp (TSE:HW), the parties said on Monday. The price tag of the takeover is USD750m (EUR560.4m), plus the assumption of up to USD250m of pro-forma net debt. Swatch will acquire US-based HW Holdings Inc and its unit Harry Winston Inc, as well as the production company in Geneva, Switzerland. It will add the business’ 535-strong global workforce. The deal, which has yet to obtain the requisite regulatory approvals, does not include the mining business of Harry Winston Diamond Corp, which in connection with the transaction, has agreed to be renamed Dominion Diamond Corp. The target is viewed as complementary to Swatch’s prestige segment, the buyer’s chariwoman Nayla Hayek noted. The move represents a sound return on the original investment in the Harry Winston brand, the vendor’s CEO Robert Gannicott said. Rothschild served as advisor to Harry Winston Diamond Corp on the deal.